Annacone Tennis Camps 2017 at Sag Harbor Park Tennis are for ages six through 15, all levels. All camps are held Monday-Friday from 10:00 a.m.-3:00 p.m. Players should bring racquets, sunscreen, hats, water and lunch. Camps will be held at Mashashimuet Park, located at 395 Main Street in Sag Harbor, N.Y.
Annacone Tennis Camps are designed to cover all aspects of hitting and playing the game of tennis. Feeding drills, live ball drills, point situations, serving and returning serve, singles and doubles, footwork and movement, strategy, and sport psychology will be included. There will also be off court cross training activities and games. We will take breaks and discuss tennis related items such as scoring, rules, matches, tournaments, etc. Steve Annacone has been involved in the tennis industry for more than 40 years. He founded and was the director of Smoky Mountain Tennis Academy in Knoxville, Tenn. for 19 years. Steve has coached more than 75 players who have gone on to compete at the collegiate level, as well as directing and operating camps for all levels of players. He will personally staff and lead the program, as well as the tennis professionals, to ensure the highest level of instruction and enjoyment for the players. Our goal is to provide a great learning environment to help enable campers to improve their skills, learn to play the game, and have fun! We will do this with a highly organized program and a safe environment using our experience and knowledge coaching and teaching players. Our proven methods and passion for the game will help players get the most out of their time at our camp. Camps run for 10 weeks, starting Monday, June 26, 2017. 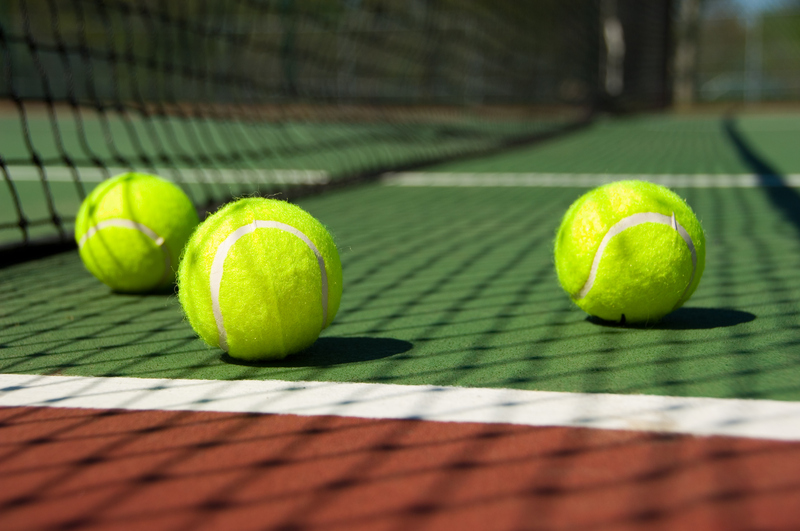 Sag Harbor Park Tennis Members or Sag Harbor Residents receive a discount on registration. Please visit SagHarborParkTennis.com for special offers, more information and to register. Centercourt Performance Tennis Academy has quickly earned the reputation as one of the sport’s premier destination for player development in the Northeast. With access to 50 tennis courts (hard, Har-Tru, red clay and indoor hard), Centercourt’s tennis camps are a perfect opportunity for players to refine and develop their skills in a short period of time. ►​Achieve significant individual improvement in all facets of the game, including technical, physical and mental aspects. ►​Centercourt is dedicated to meeting the individual needs of each and every one of its players. ►​Academy players are among some of the top Sectional-, National- and ITF-ranked players from around the country. ►​Centercourt puts the needs of the player first, in a development-focused model of training. ►​Each camp is tailored to the skill levels and goals of the players; featuring small group training, match play, individualized fitness plans, mental coaching and video analysis. ►​Players who commit to Centercourt’s training will see themselves develop life skills that will enable them to become champions, both on and off the court. Centercourt Performance Tennis Academy provides a superior junior player pathway that satisfies the needs of Sectional- and Nationally-ranked juniors. Centercourt Performance Tennis Academy offers programs with rolling admissions year-round and a 12-week Summer Camp from June 12-Aug. 28. High Performance Summer Tennis Camp at Bogota Racquet Club and/including Overnight camp at Ramapo College. These camps are geared towards High Performance Tournament and high level High School players. We have trained and currently are training players who have become ATP and WTA ranked players, U.S. Olympians, as well as many college scholarship athletes. Our International High Performance Coaches, in collaboration with our fitness staff and a sports psychologist, have developed a program that maximizes all our athletes’ strengths both on and off court. ►Full Day High Performance Tennis Camp at Bogota Racquet Club runs from June 26-Aug. 25 (nine weeks), featuring 10 hours of tennis training; five hours of fitness and eight hours of match/point play) for players ages 11-18. Campers will have access to outdoor and indoor hard and clay courts, with a 3:1 student-to-coach ratio. Weekly dual matches with other academies, and mental toughness training are also included. Transportation service provided from Bogota Racquet Club. ►Sleepaway High Performance Camp at Ramapo College runs from June 26-July 14 (three weeks), featuring 10 hours of tennis training; five hours of fitness and eight hours of match/point play) for players ages 11-18. Campers will have access to outdoor and indoor hard and clay courts, with a 3:1 student-to-coach ratio on a beautiful college campus. Campers will have access to an indoor swimming pool and lunch is provided at a brand new, air-conditioned cafeteria. Two players per fully air-conditioned room with their own shower and bathroom. Roundtrip transportation service from Tenafly and Bogota Racquet Clubs. ►Depending on the needs of the players and based upon their tournament schedule, the first three weeks, the high performance players will train either on outdoor clay courts or on outdoor hard courts, and in case of inclement weather on indoor hard courts at Bogota Racquet Club. The comprehensive program at Early Hit Training Center will provide your child with all of the resources necessary to reach their maximum tennis potential. The Early Hit Training Center incorporates all aspects of the game into a complete program. Each session begins with a nutritionally-complete and balanced shake from Court 7, an on-premise restaurant and smoothie bar. After a thorough warm-up, the student will work through the core components of tennis, including stroke production, drilling and physical fitness training before breaking for a healthy lunch. Then, the player moves on to playing dynamics and strategy, and these lessons are reinforced with focused match play. A thorough cool-down and stretching session completes a world-class day of tennis for your child. With a team of renowned tennis teaching professionals, experienced physical conditioning trainers, movement experts and on-site chef, The Early Hit Training Center offers a unique and total tennis experience. Contact Carl to attend a spring ALPS session as his guest to experience what camp is like. Coach Ed Krass' 29th Annual College Tennis Exposure Camp is the nation's only training camp taught exclusively by head college coaches. The camp is open to all players, ages 15-18, who are interested in playing college tennis. Players receive instruction and training from head coaches representing every level of the college game. Ed Krass has coached varsity tennis teams at Harvard University, Clemson University and the University of Central Florida prior to founding the College Tennis Exposure Camp. Under the skillful eyes of top college coaches, players showcase their singles, doubles and One-on-One Doubles skills, and receive specific feedback on their game. Instructional drills and match play competitions are conducted with the same style and intensity as collegiate practice sessions. Players have the opportunity to sample various coaching styles and receive on-court coaching during team competitions. Classroom seminars with college coaches motivate and educate players about college tennis preparation. The camp is offered the University of Virginia in Charlottesville, Va. from June 16-17; Lehigh University in Bethlehem, Pa. for two sessions, July 16-20 and July 22-26; and Brandeis University in Waltham, Mass. from July 29-30. Dormitory accommodations, cafeteria meals and 24-hour adult supervision are provided. Gotham Tennis Academy offers summer tennis and sports day camps in the Hamptons at the Napeague Tennis Club, located at 47 Montauk Highway in Amangansett, N.Y. The Academy is directed by enthusiastic, USPTA-certified tennis coaches in a beautiful setting emphasizing skill development, fun and a supportive environment. The tennis and sports camp based at the Napeague Tennis Club is situated in a beautiful location on the Napeague Stretch, five miles east of Main Street in Amagansett, N.Y., next to Cyril’s, and only steps from the beach and the bay! The Napeague summer program features: An outstanding tennis and multi-sport day camp featuring instructors with international backgrounds; half-day and full-day options available; basketball, soccer and other field sports on multi-purpose courts; kayak, beach trips and mountain bike excursions may be arranged; and transportation can be arranged upon request. New this year, an early drop-off option between 9:00 a.m.-10:00 a.m.
Light snacks and beverages are provided. Round-trip or one-way transportation may be arranged. Joel Ross, owner and director of Joel Ross Tennis Camp in Kent, Conn., is a native Long Islander, having grown up in Westbury, N.Y. He won the New York State High School Singles Championships two consecutive years and earned a full tennis scholarship to the University of Michigan, where he captained the team and played number one singles. In 1971, Joel was Big 10 Singles Champion and was featured on the cover of Tennis Magazine. His best circuit wins include John McEnroe and Tom Gullikson. He currently resides in New Rochelle, N.Y. with his wife, Ellen. Their four grown children each attended and worked at the camp. Joel Ross Tennis Camp, located only 90 minutes from the Whitestone Bridge, is located in beautiful Kent, Conn., at the base of Mt. Algo, alongside the Housatonic River. The camp facilities include 12 on-campus tennis courts, including four indoor in our own steel building. Joel is a hands-on director, in attendance 24/7. His program of instruction and fitness in the morning and ladder play in the afternoon and evening has endured for 27 years since the inception of the camp in 1991. Facilities include squash courts, swimming pool, 300-yard driving ranges and canoeing/kayaking on the Housatonic River. All of our campers and staff are residents. Our tuition covers everything: Private lessons, laundry, snacks, trips, etc. Our campers can also participate in many electives, including archery, squash, canoeing, kayaking, basketball, soccer, football and more! We have a multi-tiered “Bully Prevention Program” in place as well. Give us a call at (914) 723-2165 and find out why Joel Ross Tennis Camp is a keeper! Locations include: Robbie Wagner’s Tournament Training Camp (Glen Cove, N.Y.); Lawrenceville School (Lawrenceville, N.J.); Randy Mani Tennis Academy at Hardscrabble Club (Brewster, N.Y.); Colgate University (Hamilton, N.Y.); and Chirico-Cohen Tournament Training at Chestnut Hill College (Chestnut Hill, Pa.). The Nike Adult Tennis Camp at Amherst College has hosted more than 30,000 adult tennis players since 1972. Camp Directors Reiny Maier and Maureen Rankine are outstanding teachers and passionate coaches who inspire all players to get better and love the game. Multiple camp options and dates offered throughout June and July. We are the only academy in the world the USTA selected for the members benefits program for both juniors and adults. And we are annually selected among the top 25 in the world and number one in the East by TennisResortsonline.com. The Ross School Tennis Center, located on the Upper School campus in East Hampton, N.Y., is a wonderful resource in the Hamptons open to seasonal and year-round residents. It features six Har-Tru tennis courts that are enclosed by a bubble from mid-fall through mid-spring, allowing for year-round play. The courts are directly adjacent to the beautiful, state-of-the-art Fieldhouse where players can take advantage of its many amenities, including locker rooms, lounge, snack bar, and ping pong tables. It is also used for a variety of special events and is available for private parties. This intensive program is specially designed for a small group of players dedicated to training to their highest potential every day. Boarding is available for ages 12 and up. ►Daily Match Play component and weekly Interclub tournaments for maximal game practice. Reside in luxurious boarding houses with students from around the world and take part in weekend and evening excursions to local Hamptons activities or New York City. Program runs rain or shine–there is always a new part of the game to discover and explore. Additional private training, sports psychologist sessions and coaching are available for a fee. RSYTA is a specialized U10 training program designed for our youngest serious tennis players entering grades first through fourth who already play more than two times per week. All training is with orange and green dot balls and includes a daily fitness and match play component. Players must be able to serve and keep score. Space is limited and tryout required. ►RSJTA Grades 5-8, Monday-Friday from 8:30 a.m.-3:00 p.m.
►RSTA Grades 9-12, Monday-Friday from 8:30 a.m.-3:00 p.m. The ASC Summer Camp is designed for players from around the world. The Sanchez-Casal System allows all levels of players to enjoy high performance training. Basic, intermediate and advanced level players will all thrive within the ASC training environment. The ideal combination of tennis and performance training, languages classes and leisure activities which campers experience make for an unforgettable summer camp experience. 1. The ASC Training System: Spanish tennis greats Emilio Sanchez and Sergio Casal developed their training philosophy and program at their inaugural tennis academy in Barcelona. It delivers a proven combination of tennis development training, strategic technical, tactical, physical and mental as well as top-notch competition. 2. The ASC Campus: Unlike many academies, the ASC tennis facilities, residences and ES School are all located within one property, thereby creating a safe, fun, healthy, family atmosphere for all student-athletes. 3. Summer Camp Activities: Enjoy the best parts of Florida (Orlando amusement parks, The Everglades, pristine Gulf Coast beaches and more). Plus we speak English, Italian, Spanish and French. And we teach you language courses during the summer program for free as an option. 4. World Class Results: ASC alumni have excelled at every level of competitive tennis—from junior, national and international rankings and titles, to Collegiate All-American status and NCAA titles, to Olympic medals, to ATP/WTA titles, top 10 ATP/WTA rankings and Major Championship titles. Svetlana Kuznetsova, Andy Murray, Daniela Hantuchova, Grigor Dimitrov and Juan Monaco are just a few of ASC’s best-known professional alumni. 5. International Exchange Program: Besides the ASC-FL annual training in Naples, Fla., ASC and ES International School is the only residential tennis academy in the world to have wholly-owned campus headquarters located in both Europe and the United States. Its Exchange Program offers high-school and high performance tennis. College planning and placement is also offered. Running June 25-Aug. 25, 2017 the Southern California Tennis Academy will have six weeks of options for boarding summer camps. Director Mitch Bridge and USC Head Coach Peter Smith offer a tremendous amount of tennis knowledge that helps develop players more rapidly. The workout is highly energetic and fun, and we believe in competing most of the time whether it’s with drills, serving or points play. The constant change and variety of formatting makes the seven-hour training day fly by. Boarding is at California State University, Long Beach with a boy’s dorm and girl’s dorm and two players to each room. All meals are served at the school’s cafeteria, and there are a variety of healthy options. Boarders have access to the rec room with dodge ball, rock climbing, foosball, and a variety of other activities with a pool and beach volleyball courts. On Tuesday and Thursday evenings and weekends, our boarders will go on fun social activities like Disneyland, movies, beach bonfires, Hollywood, Huntington Beach, Angel’s games, concerts and bowling. On the weekends players will have the option of playing a tournament or going on the social activities. For more information, visit SCTennisAcademy.com or contact Info@SCTennisAcademy.com. Windridge offers two- and three-week coed sessions from June through August, serving ages seven through 15. Windridge’s 4:1 camper-to-counselor ratio is an important factor in its warm and nurturing environment.